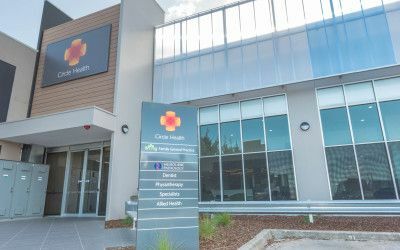 Circle Health is a fresh, new, multidisciplinary health hub that provides services to Altona North and surrounding suburbs, west of Melbourne. The goal of Circle Health is to provide GP, specialist, dentist and allied healthcare services in an all-encompassing health environment, conveniently located under one roof. Our tag-line “Your health first” promotes the philosophy of the group, as we work with individuals to help them prioritise their health, in all its forms. Circle Health Provides a secure, modern health precinct, accessible by public transport and built with ample car parking. Anchored by a large, GP clinic, it is fitted with the latest in healthcare technology to ensure coordinated, multi-disciplinary and holistic pathways of healthcare. Already supported by on-site pathology, physiotherapy and dental services, this facility will operate 7 days a week, with extended hours on weekdays. We have pleasure in announcing Circle Health Medical complex being a first class health care facility servicing the residents of Melbourne’s western suburbs.